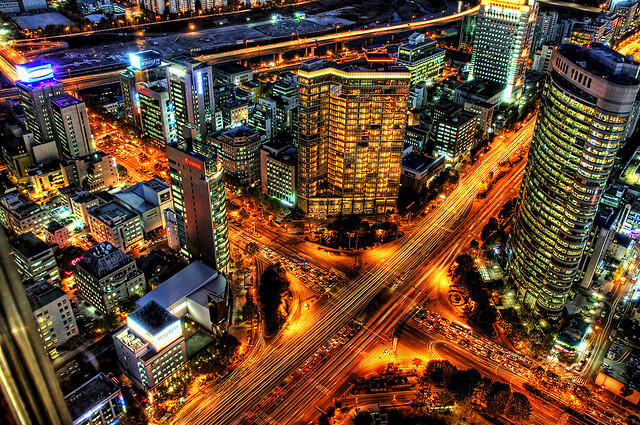 The World Bank is calling for applications to attend a transport planning workshop in Seoul. Photo by Trey Ratcliff. The World Bank will host a 7-day learning event, “Building Leaders in Urban Transport Planning” to be held in Seoul from October 7th through October 13th, 2012, prefaced by a 4-week remote learning course. The event is organised in partnership with the Ministry of Land, Transport and Maritime Affairs (MLTM) and the Korea Transport Institute, with support from the Public Private Infrastructure Advisory Facility (PPIAF) and the Energy Sector Management Assistance Program (ESMAP). The event, part of the World Bank’s “Leadership in Urban Transport Planning” capacity building series, is geared toward developing leadership, awareness and implementation strategies for urban integrated mobility planning It will use a hands-on learning approach, making extensive use of case studies, group exercises, and site visits – all aimed at highlighting linkages between the various components of the urban transport system. Previous events under this program were held in Singapore, China, France and India. The workshop will be preceded by a 4-week self-taught course taken remotely beginning September 7th. The coursework will involve about 24 hours of self-paced learning, and will cover topics ranging from land use and transport planning, incorporating the environmental and social issues in urban transport planning. The workshop itself will approach key issues facing cities such as systematic integrated mobility planning, corridor management, public transport planning evaluation alternatives, the role of government, financing and public-private partnerships. Following the workshop, a mentoring program will also be available for interested participants, especially those who would be working on specific projects in their cities. The six month mentorship program will assign an expert to a participant or group of participants for advice and guidance as they work on their projects. Mentors would check-in with mentees for an hour every two weeks to help review work and provide guidance for specific projects and assignments. This would be purely optional, with an additional cost. Ideal participants for the workshop would be policy makers and planners from national, state and city governments who are responsible for “putting the pieces together”. Participants from civil society, consultants and the professional staff of consulting companies would also find the program very useful. Potential faculty from local training institutions would also gain from this program. The application deadline is 6th September 2012. Click here for more information on the program and how to apply.